3/05/2018 · Then glue a pin to the felt. 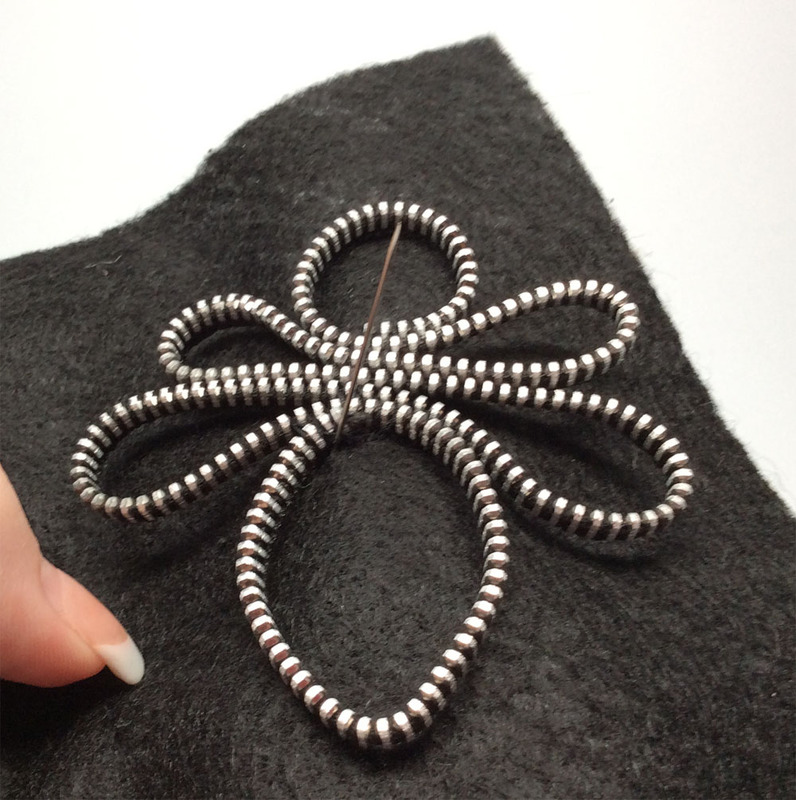 The lace is light enough that you should be able to glue to pin to the center. If you think the pin may fall under its own weight, glue the pin to the top of the felt circle.... This red heart zipper brooch is made from a red sweater I found at the thrift store and then shrunk down (felted) via multiple washings. I then cut the heart I designed out and surround it with zipper! Fun Zipper Jewelry Patterns On Craftsy! 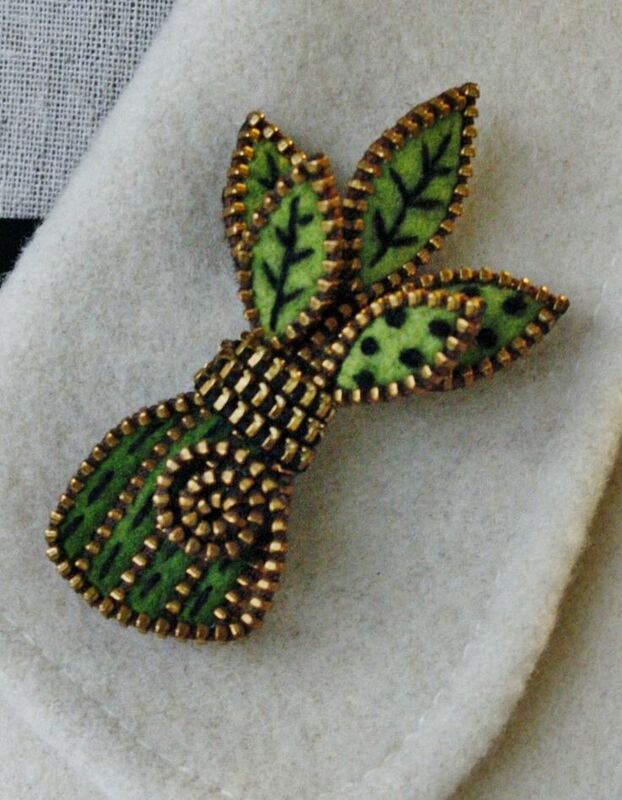 Make a zipper flower brooch or hair clip by sewing a small, heart-shaped piece of felt to the brooch or hair clip fastener. 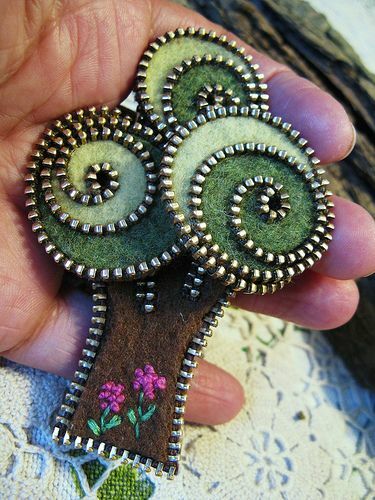 Glue the back of the zipper flower to the piece of felt with hot glue and allow the zipper craft to dry before wearing.... Beginning at the outer edge of one felt circle, tack the zipper tape in place as you swirl it around in ever-decreasing circles, securing it every 1/2″ to 3/4″. Don’t try to make this even; it’ll look best if the placement is more-or-less random. Just be sure to cover the edge of the previous zipper tape as you go along. 3/05/2018 · Then glue a pin to the felt. The lace is light enough that you should be able to glue to pin to the center. If you think the pin may fall under its own weight, glue the pin to the top of the felt circle. 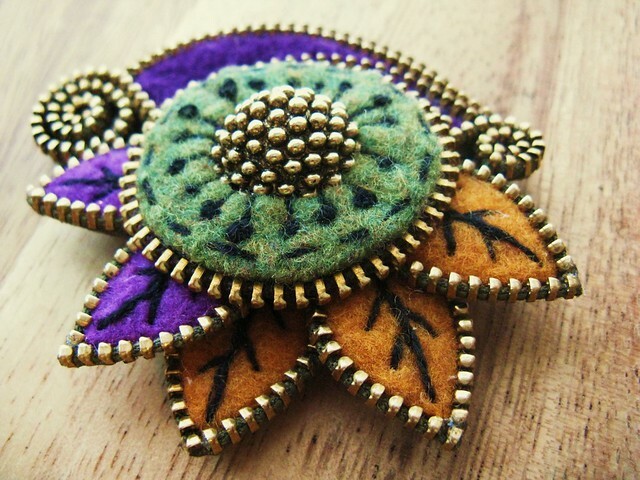 I designed and created this zipper brooch after finding the sweater shown in the 4th picture-doesnt it look like an owl? :) I search for sweaters in thrift stores, then I shrink them down/felt them after multiple soapy hot washings.